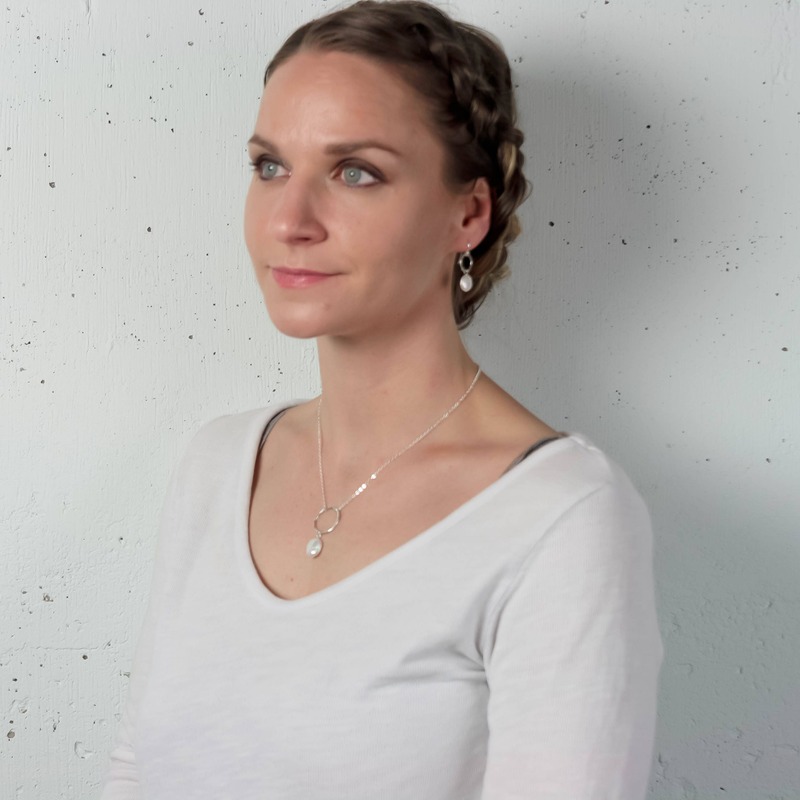 * Necklace is adjustable from 16"-18" with a lobster claw clasp and built in extender chain. Feel free to request a custom length, this is made to order so adjustments are no problem! 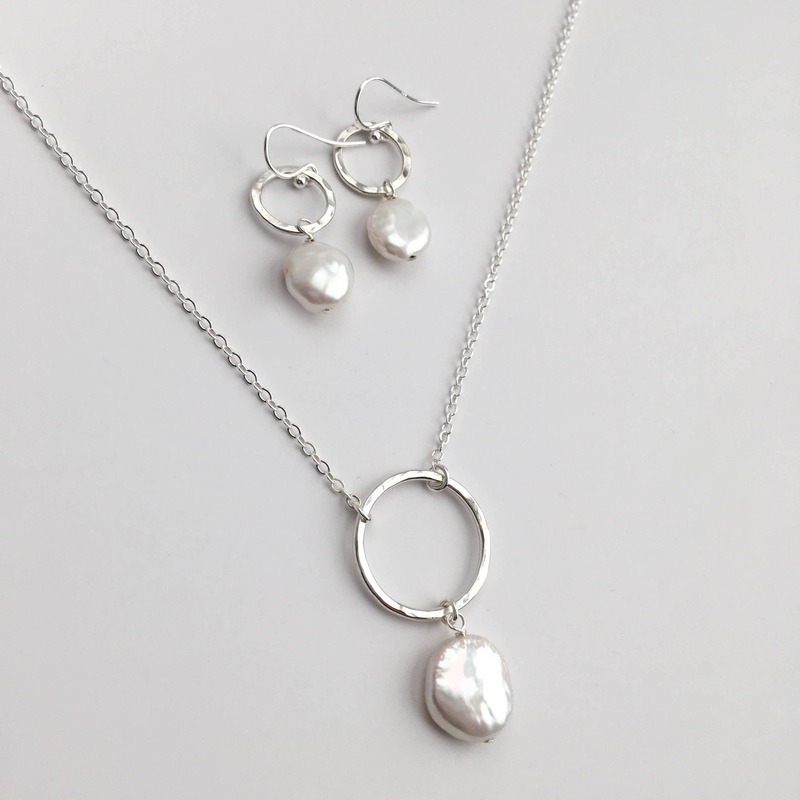 * Handmade with a top quality freshwater pearl and solid Argentium Sterling Silver - see below for more about this unique metal! 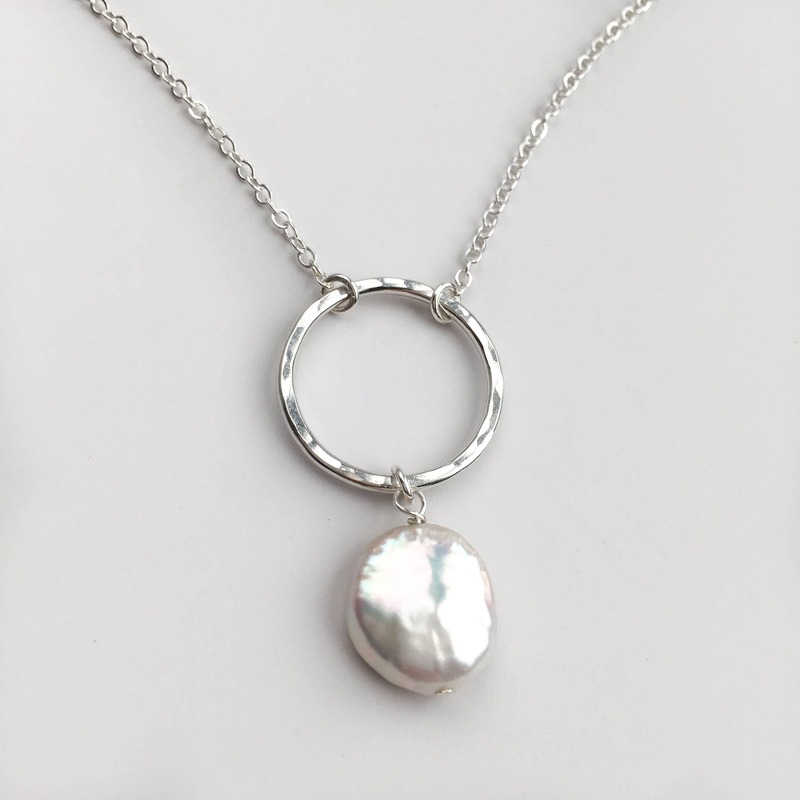 This unique pendant necklace is handmade with a gorgeous freshwater coin pearl and solid sterling silver. The circle is formed by hand, soldered and then hand hammered for texture. We give this a high polish so it will capture and reflect the light perfectly. 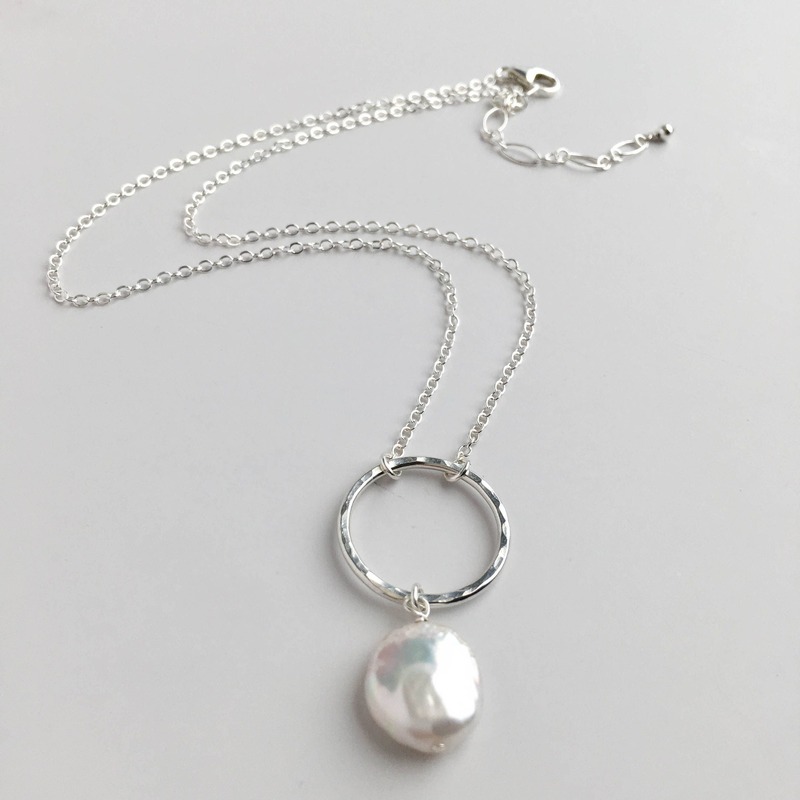 The coin pearl is so full of beautiful luster and shine! 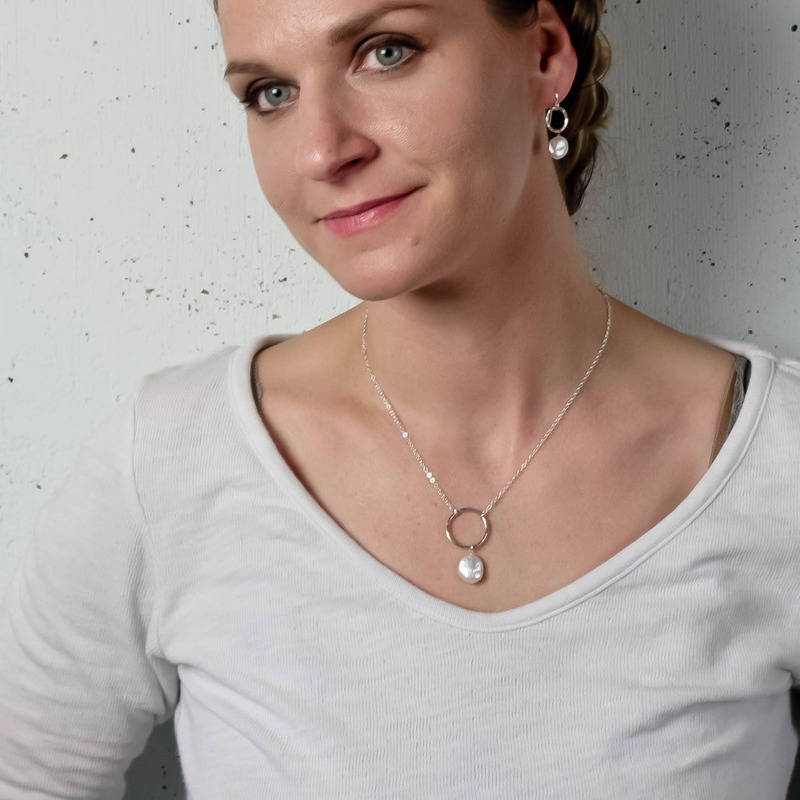 Such a versatile necklace, this is sure to become a favorite, perfect for everyday wear! Beautiful minimal design-very elegant! 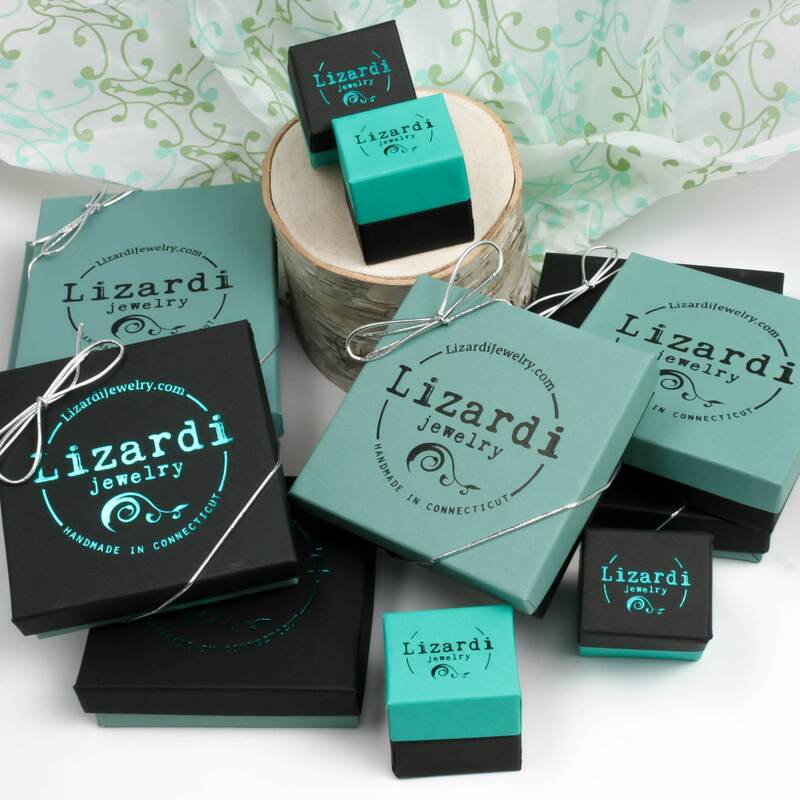 The shipping is quick and beautifully wrapped if you want to give as a gift. Smooth transaction from start to finish. Perfect! 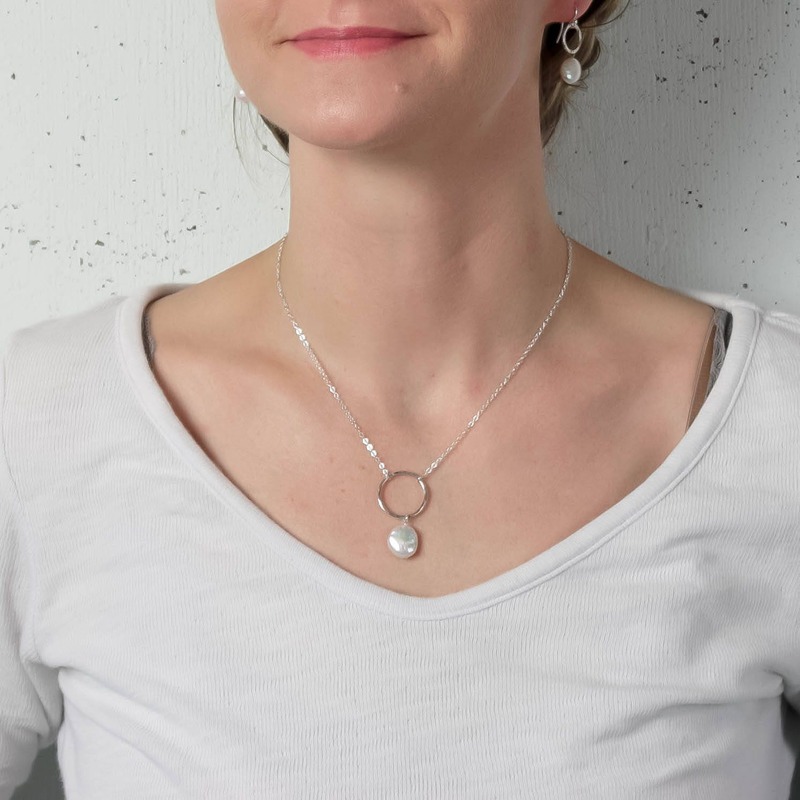 I am a pearl fanatic and love this unique, yet classic look. 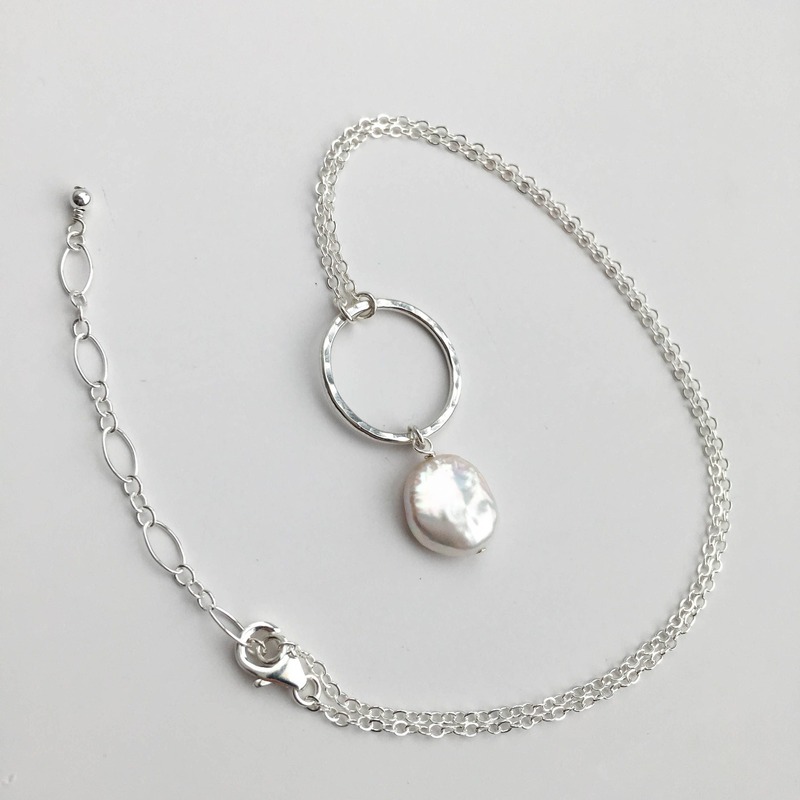 Beautifully crafted and easy to wear. As always, arrived nearly immediately in a nice package. The packaging was amazing!! The piece itself was also amazing great quality- fast shipping thank you!